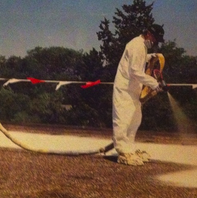 Polyurethane Foam Roofing — Coatings Application & Waterproofing Co. Coatings Application & Waterproofing Co. Imagine a roofing system that provides more than 20 years of leak-free performance with little-to-no maintenance. Imagine that same roofing giving you improved building energy efficiency, the industry's best severe weather resistance and the lowest lifecycle cost. Now imagine installing it directly over your existing roof - saving labor, hassle, disposal costs and the environment all at once. Low life cycle cost, low maintenance, leak free, and energy efficient. Provide 20 to 30 years of low maintenance, leak free performance. Spray polyurethane foam, commonly referred to as SPF is a spray-applied insulating foam plastic that is installed as a liquid and then expands many times its original size. Spray polyurethane foam density can be adjusted and have many different physical properties depending on the use desired. Specialized equipment is used to apply the spray polyurethane foam and proper technical training is important in order to get the best results. For roofing, spray polyurethane foam insulates and eliminates thermal bridging through fasteners or gaps in decking while providing a long-lasting roofing system that has a life that can be extended by re-coating or recovering in an average of more than 10-15 years. What are the benefits of SPF? SPF is environmentally friendly, contains no formaldehyde or ozone depleting chemicals, saves energy and reduces the use of fossil fuels thereby reducing global warming gasses. It also assists in providing good indoor air quality, requires less energy to produce than the leading insulation, and reduces the amount of energy required to transport and install it. SPF is durable, maintains physical properties over time, contributes little to the waste stream, and in a single product can take the place of three-four other products, including insulation, air barriers, sealants, vapor retarders and weather barriers. Has high R-value per inch in closed cell 6.0 per inch. SPF can reduce moisture condensation and mold growth within the building. HVAC equipment can be down-sized, thereby reducing construction costs. SPF helps conserve energy, reducing CO2 emissions. SPF contributes LEED credits for sustainable, green construction. SPF can help reduce structural damage caused by high winds. SPF contains no formaldehyde or ozone depleting substances. CAN SPF ROOFING SYSTEM BENEFIT YOU? 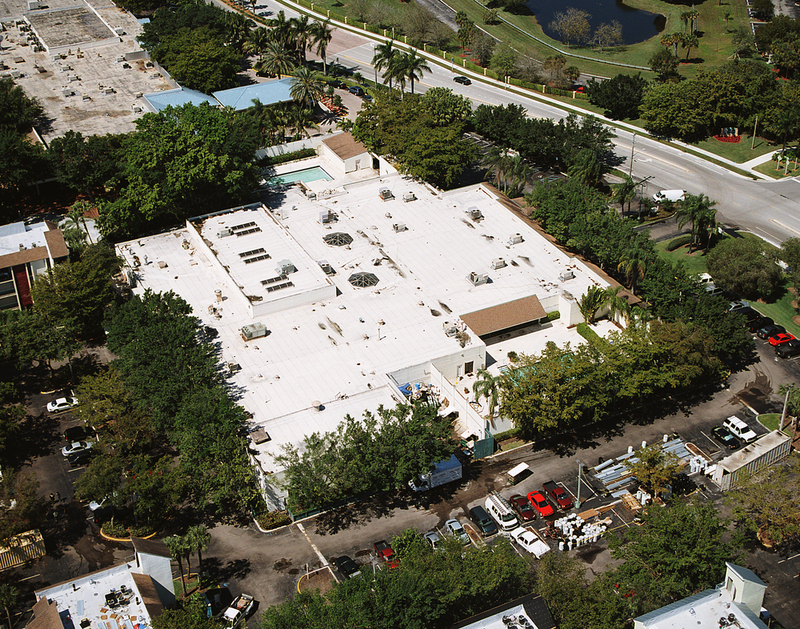 SPF Roofing can be installed over most roofing systems. Do you need a lightweight system? Do you need energy saving insulation and reflective coating? Do you have a lot of roof penetrations? Are your leaks primarily around the perimeter and penetrations? Do you only need a section of your roof done?